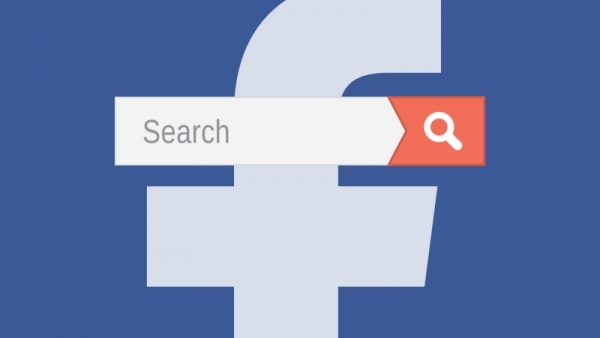 Facebook and Microsoft have had a long-standing relationship, which for quite some time has led to Facebook including Bing results in the Facebook search bar. Similarly, searching in Bing would allow Facebook users to find results from their friends. However, it appears that Facebook has been making some changes regarding the way their search function works. In particular, it looks like they have removed Bing from the equation, without fanfare. One of the reasons that Facebook worked with Bing in the first place was because it has long considered Google to be a rival, especially with Google’s mostly unsuccessful plunge into social network territory with Google Plus. What this means for the future of the partnership between Facebook and Bing is currently unclear, though it is likely that these changes have been made in relation to Facebook’s new search functions, which I talked about last week. It seems that Facebook wants to refocus their search functions to work within Facebook, rather than extending to the rest of the web. However, the refining of their search functions appears to be used to compete with other search experiences. A Microsoft spokesperson says that they continue to partner with Facebook in other areas apart from the search function. It still is possible that Facebook and Bing will work concurrently in the future, but under what circumstances is currently unknown. While many of us can’t imagine living without things “made in China,” the Chinese don’t seem very impressed with some of things coming out of the good ole USA. I’m most specifically talking about microblogging. Sites like Twitter have swept America by storm this year. In fact, a report from Sysomos earlier this year said that only 0.49% of Twitter users were from China, while 62.14% of Twitter’s population were Americans. The British make up the second biggest amount of users on Twitter, but they are far behind America since they only account for 7.97% of Twitterers. This Week In Social Media: Nov. 25, 2009 iePlexus from iePlexus on Vimeo. It seems like only yesterday, that everyone in the neighborhood had a brand new gaming console called Nintendo. Playing a 2-D version of Mario was the most high tech game at the time, and a few years later, the release of the Super Nintendo blew America away. It was the Nintendo 64, where everyone first began to grasp the idea of 3D graphics in games and since then, the PlayStation, Xbox & Wii have become some of our favorite gaming systems. From being able to only play games, to being able to actually work out daily, video game systems have come a long way. So what will come next? This Week in Social Media – Nov 6, 2009 iePlexus from iePlexus on Vimeo. Here’s a look at some of what happened this week in the world of social media and elsewhere on the Web. iePlexus “Week in Social Media” October 23, 2009 from iePlexus on Vimeo. In the last 48 hours the web has been buzzing with the news of a Microsoft-Yahoo search deal that could potentially change the landscape of search forever. Although not final and more importantly, not approved by the regulatory commission, the deal would essentially make Microsoft’s search technology, Bing, the engine that powers all Yahoo search. There are other stipulations to the deal and a lot of technical specifics, but both companies feel they benefited from the deal and are looking forward to implementing the change as early as the beginning part of 2010. Google, however, might have something to say about the deal, as this essentially removes a search competitor from the market and makes it a two-horse race in the very lucrative game of search. The main component of the agreement involves search technology. Both Microsoft and Yahoo currently have their own search technology, or engine, that powers both the organic or natural search results and the paid or sponsored listings. Google of course has these technolgies as well. The deal gives Microsoft exclusive rights to Yahoo’s technology and puts Microsoft’s Bing as the driving engine behind all Yahoo search results. 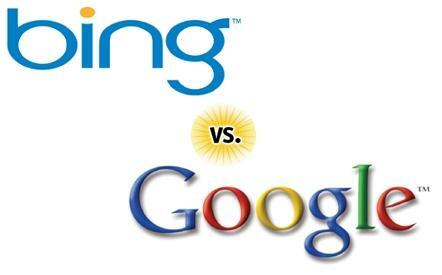 You’ll still be able to search on Yahoo just like before, but all the results will say “Powered by Bing”. Microsoft gets this technology for at least 10 years and is paying Yahoo for it. Yes, this means Yahoo is giving up on search. 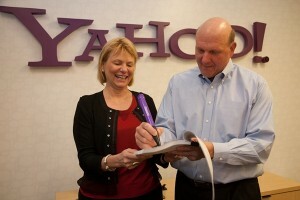 Their CEO, Carol Bartz, would like us to think that Yahoo will do better if it can concentrate on its online properties like mail, news, sports, etc. It’s expensive to run search and Yahoo is now going to lease it from Microsoft so they don’t have to. With this deal, they’ll be two main choices in engines. Google, who has about a 70% market share, and Bing, which will power Bing, and all Yahoo search properties, with about a 30% market share. Steve Ballmer, the CEO of Microsoft, is considered a genius for pulling off a deal that eliminates a search competitor at a very low cost.